I made a video for the guide on the new mission that came out on fantage 🙂 Im going to post the video to save wordpress space so i can make more posts without running out! Here is the guide! Fantage Turkey Creature in Forest? (Thanks to Personperson for telling me about this) The turkey creature is at the forest! If you click on him/her it says “leave me alone!” or “Come on!” 😮 If you head over to the forest you will be able to see the turkey 😀 Here is a picture of the turkey at the forest! You are not able to keep the turkey right now, but maybe you will some time later! 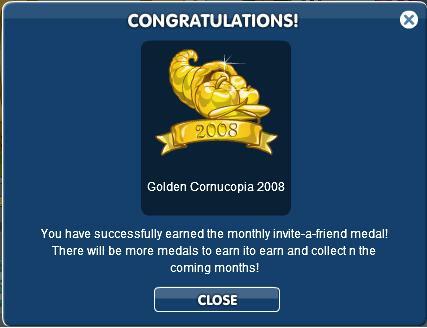 Here is a picture of the Medal! New Fantage Servers, New Costumes, And a new Creature? Today “Fantage” Released some new awesome costumes and servers! Here is an image of the new costumes that came out 🙂 they are located at Jester’s and Le Shop! And as i said before their are new servers!!!!! 😀 they are called White Seal and Brown Bear! and Fantage posted on their blog that their is going to be a new turkey creature! 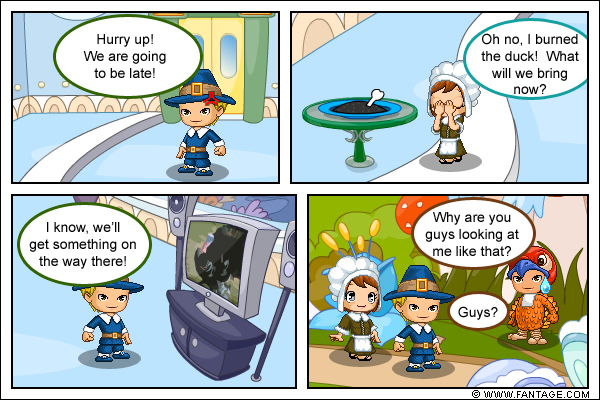 Fall has arived in Fantage and a Thanks Giving costume preview! 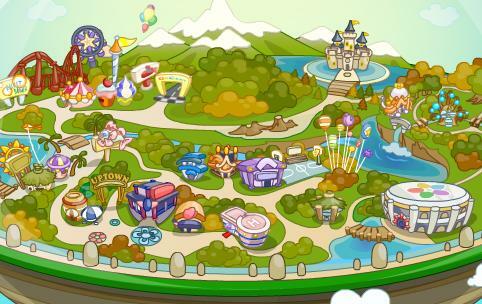 Fantage has turned into Fall! Leaves are falling, Green turns to Orange, and their are leaves everywhere! 😀 They even updated the map! And as i said, leaves are everywhere! 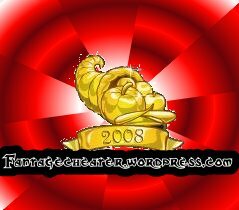 I will now be adressing M as fantage after wind got banned so i talk about the creator of fantage and not just a moderator. 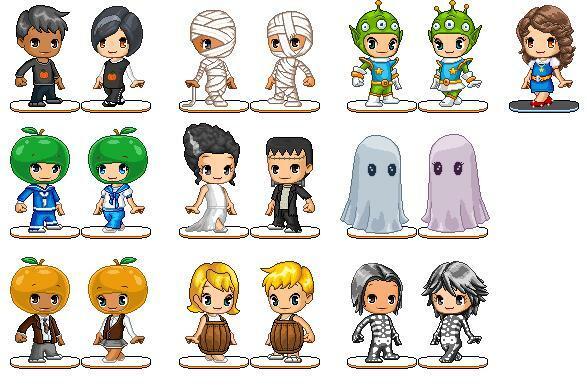 2 new costumes+Final list of the halloween costumes! 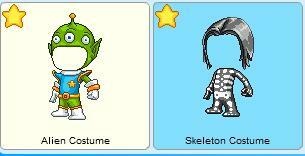 Fantage released a pic of the final halloween items and 2 new items! The Space Alien and the Skeleton Suit!